Israel is on a quest to find out the origin of the drone shot down Saturday, with various theories coming to light, including Hezbollah’s planning and Iran’s manufacturing to carry out surveillance and test Israel’s interception capabilities. Israel’s defense has refrained from revealing full details regarding the origin of the unmanned aerial vehicle that was shot down over the Israel’s unpopulated Negev desert. The only information given is that the drone came from the direction of the Mediterranean, around the Gaza Strip, and that it is unlikely that Palestinians organizations are involved. The aircraft was unarmed and it said to have been sent for surveillance purposes. 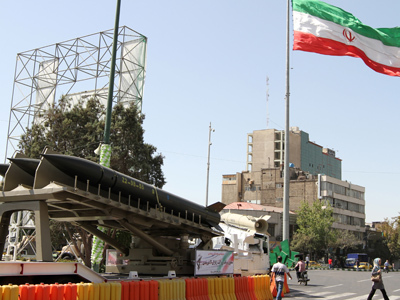 It is unclear who is behind this mission, but Israeli media have speculated that the drone was manufactured by Iran and sent over by Hezbollah. Israeli MP and former chief spokesman of the military Miri Regev wrote in his Twitter feed that it was an "Iranian drone launched by Hezbollah," pointing to the Lebanese Shiite group that fought a war with Israel in 2006. However, defense officials did not confirm this link. Israeli news website Ynetnews reported without quoting sources that Hezbollah or any other Iranian ally could have launched this drone. And that Iranians could be the ones behind manufacturing it and activating its launch and guidance system. Launching an aircraft over such a distance required advanced capabilities, which Hezbollah does not have. 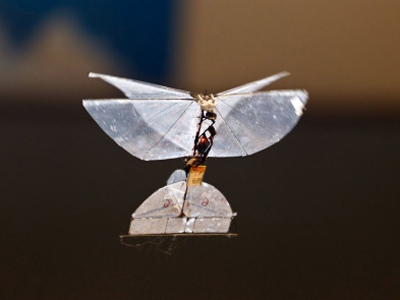 But Iran does, since it recently announced that it developed advanced drones to fend off any threat. 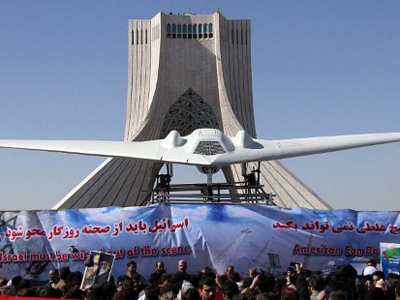 Tehran claimed that its aircrafts are capable of carrying out missions for 24-hour nonstop flight and its drones can be equipped with electronic and communication systems which can transmit live feeds. Further, Ynet uncovered a more sophisticated plot behind the incident by pointing out that when Hezbollah launched drones into Israel in the past, it was done from the north and their activation did not require a navigation system. This time around the aircraft relied on such a system and flew over Lebanon, the Mediterranean and Gaza’s coastline and only then entered Israeli aerospace. Such a difficult path could have reportedly been chosen to confuse Israel’s interception capabilities and hide Lebanon’s involvement to successfully look for targets in south Israel, including taking photos of the reactor in Dimona. The Israeli military is trying to determine whether the drone was remotely controlled from a Lebanon-based command center or by GPS. If the latter, then the drone was likely meant to return to its base or self-destruct over the sea. Another reason behind choosing this route could be to put the blame on Hamas and intensify relations with Palestine. More importantly, the whole mission was reportedly launched to covertly test Israel’s level of interception capabilities. As a response to the above allegations Iran has consulted a former Lebanese general, who shifted the blame by offering his own theory of what had happened. “[The drone must have come] from an American aircraft carrier or from [air force and military bases in] Saudi Arabia, also American bases. That’s the only possibility so far until we know after investigation,” Hisham Jaber told Press TV. However, the former general did not specify any reasons the US might have for sending the drone into Israeli airspace. 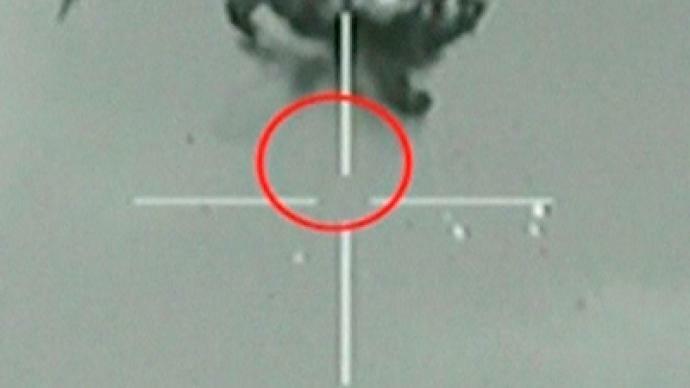 On Saturday the Israeli Air Force shot down a drone above the unpopulated area in Israel's southern Negev Desert. 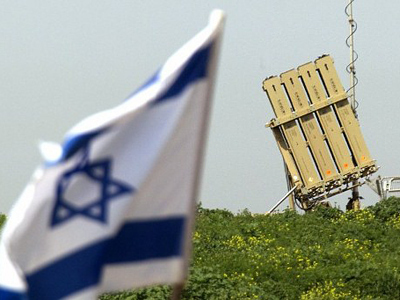 Defense Minister Ehud Barak called the operation "sharp and effective". Israel’s response to the incident is still to be determined. 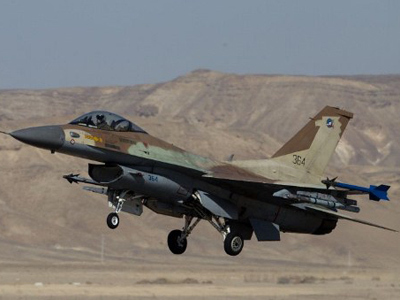 "We view with great severity the attempt to compromise Israeli air space and will consider our response in due course," Barak said in a statement. Israel fears that drones could be potentially be used in suicide missions by its enemies, such as Hezbollah and Iran.